When I accidentally found article, I was enjoyable surprised, that so well-known world famous singer will perform here in Latvia and tickets are just for 3 Ls. Of course, they’re bought, and not looking on cloudy sky and worry about rain (concert is expected under free sky), in Saturday evening we went to Renkis garden in Ventspils. After half an our staying in line for one of entries, finally we got in, but seats we didn’t manage to take, because everything was full or “reserved” with near put handbag. Nothing to do, we did as all people, who didn’t sit, we got near the stage, and waited for 80’s star to came. For the first seat took symphonic orchestra of Liepaja, which in this concert gave us really good music as for really popular Paul Young songs as Wherever I Lay My Hat, Come Back & Stay, Every Time You Go Away, Sensa Una Donna, as in our side little bit less heard song. Then came soloist himself, with three vocalist and other musicians. 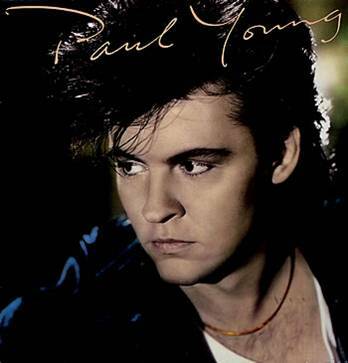 British musician, not looking for his years (Paul Young was born in 1956), as much charismatic and free, in contact with public, but … voice has lost its youth sonority. But take off my hat to that, he sang in live, not using phonogram (as are doing some singers, thinking that auditory are fools). It seems, that public valued it and applause was very big, was swinging in music rhythm. Cheers were most part for nostalgia memories about good voice from 70’s and 80’s records. In result – two way feelings. I don’t regret that I went to this concert and I could see and hear in live. People good background was wonderful and two hours of concert went like a minute. But sonority, made me think about how cruel years are not just with our outside but even with our vocal cords. Maybe big artists needs to be big responsibility for his art and need to go away from stage, then, when its time?